Today is the day! 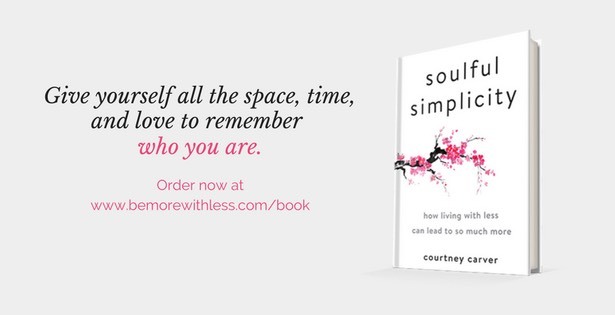 Say happy birthday to my new book, Soulful Simplicity. The writing, editing, design, and printing are done and now it’s time to celebrate. Seeing as you (the wonderful people who read Be More with Less) had a big hand in making this happen, I hope you’ll celebrate with me. And because I can’t say it enough, I’m very grateful for your support. 7 Simple Ways to Celebrate my Book Birthday! For even more celebrating, I’ve decided to offer the book bonus gifts through December 31st. 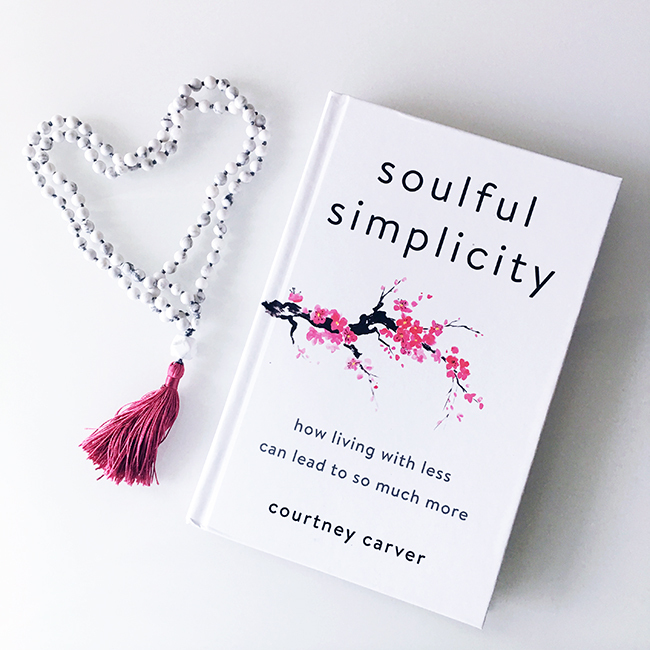 Check out the gifts and how to get them here on the Soulful Simplicity book page. There’s a free chapter there too if you are interested. 2. Join me on tour. I’ll be traveling to 12 cities in January and February. Every ticket includes a hardcover book, presentation by me, Q & A and book signing. If you live in Salt Lake City, Minneapolis, Boston, NYC, Washington DC, Tampa, Atlanta, Seattle, LA, San Diego, Dallas or Austin, get your tickets here. Some cities are close to selling out so please don’t wait until the last-minute to get your tickets. 3. Share on the socials. Share pictures, reviews, or other information about the book with your social networks. Use this Soulful Simplicity Social Sharing File to find copy and images to share. Use hashtags #soulfulsimplicity and #bemorewithless when you share these images or your own so I can find your posts and thank you for sharing! 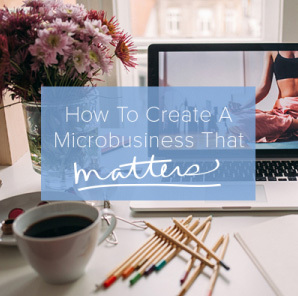 If you have a blog and write about the book, let me know so I can share your blog post. Tell your friends and your mom, and your co-workers and anyone who may be interested. I really appreciate you spreading the word! 4. Ask your local libraries and bookstores to carry the book. Libraries and local bookstores are magical places to find books. 5. Review the book on Amazon and other places that accept book reviews. An honest review is so helpful! 6. Invite me to speak at your next conference or gathering. For a limited time, I’m waiving my speaking fees with any book orders of 50+. Learn more here. 7. Join me today for Facebook Live. On 12/26 at 3pm Pacific, 6pm Eastern, I’ll be hosting a celebration on Facebook Live. Join me here. I’m reading your book and crying- about the honesty, personal pain, willingness to share to help another. I have followed you for quite some time, knew some of your story, and have been touched and influenced by so much of what you write. But this book is exceptional and to be shared. Love you Courtney Carver. You are an exceptional human being. Thank you for your lovely feedback Sue. I’d be honored if you’d leave a review on Amazon by clicking here: http://amzn.to/2E7Saxs . It really helps people who aren’t familiar with me or Be More with Less to decide if they want to read the book. Consider it done and hope it leads to many new readers! You are one in a million Courtney and inspire me every day! Hope you like the review. Mine arrived today! I’m looking forward to starting it. It is known as my “serenity book” by my three young grandsons I’m living with…so I need it! Courtney, my sweet 15 yo son got me your book for Christmas. I just found it in my mailbox. So, so excited! I live near SLC and would love to come to your tour there next week. Question…do I still need to sign up if I have the book? Sorry I can’t find your frequently asked questions concerning that! I’m so excited to start reading as well as have a chance to meet you! Love that Kim! Yes, tickets for the book tour can be found here: https://bemorewithless.com/book-tour/. Looking forward to meeting you! I finished Soulful Simplicity today. I had many moments of clarity, teary moments, hopeful moments and joyful ones. I am ready to get to work but I am promising to be patient with myself- as I have a lot of work to day. Thank you, thank you, thank you for your stories, words and soul. I am very grateful to have found you, your blog and this beautiful book. 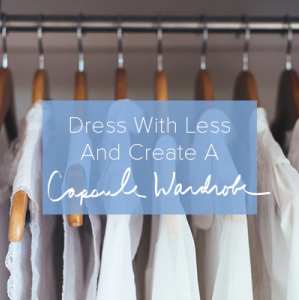 I wish I had participated in the Closet Challenge- although, I think I will still write the essay on why I want my life and my family’s life more soulfully simple- just for myself. Thank you again. Thank you Stephanie! That’s wonderful to hear. If you’d be willing to share in an Amazon review by clicking here: http://amzn.to/2E7Saxs , I’d really appreciate it!